Saengerfest 2018: What a weekend to remember! Saengerfest 2018 is officially closed and one for the history books! 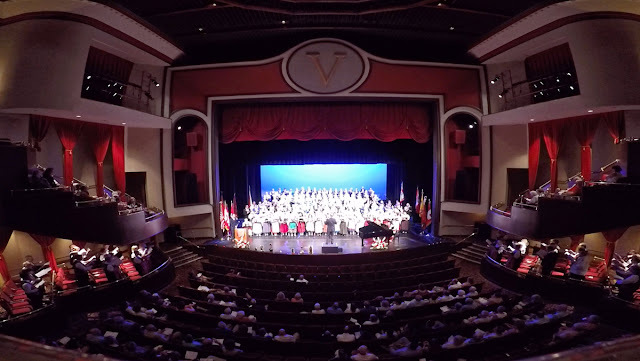 Thank you to all the member choirs of the North American Swiss Singing Alliance (NASSA) for coming to Toledo and experiencing what a vibrant and thriving community we have. Thank you, Toledo, for coming out and supporting our group and to all who visited the Renaissance Hotel and experienced a little bit of yodeling. Thank you to our local media, especially WTGE Public Media and Lamar Advertising, for helping us get the word out that, "Yodeling is coming!" Check The Toledo Swiss Singers on Facebook for more photos and videos!